Fiat cars are owned by the same business that owns Ferrari and you can't help feel a bit of that class rubs off when you lease a Fiat. Fiats are full of personality, from the cheecky Fiat 500 to the 124 Spyder. 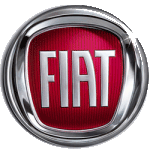 At Little Green Car we great Fiat lease deals for you to check out. And if you can't see the Fiat lease offer to suit you, just contact us and we'll help find you the car you're looking for.